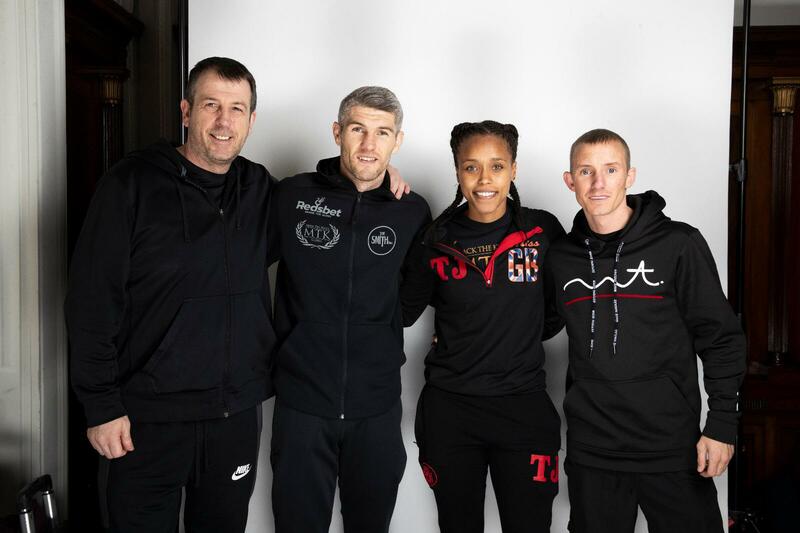 Gallagher’s Gym fighters will be out in force tomorrow evening when Liam Smith, Natasha Jonas & Paul Putler return to the ring for a packed out show in Liverpool tomorrow night at the M&S Bank Arena. 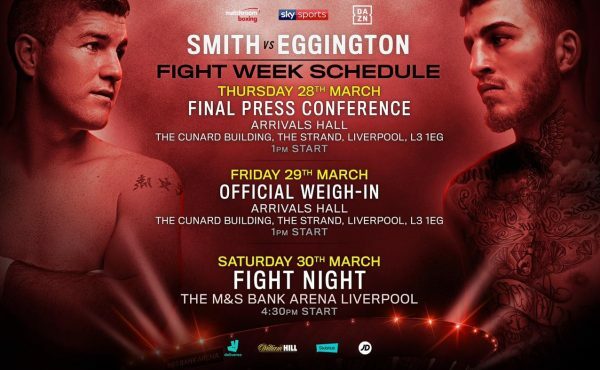 Smith headlines the event and is determined to prove he is a class above Sam Eggington and has vowed to set aside his friendship with Sam as the Liverpudlian strives for a dominant win to prove he remains a world-class super-welterweight. 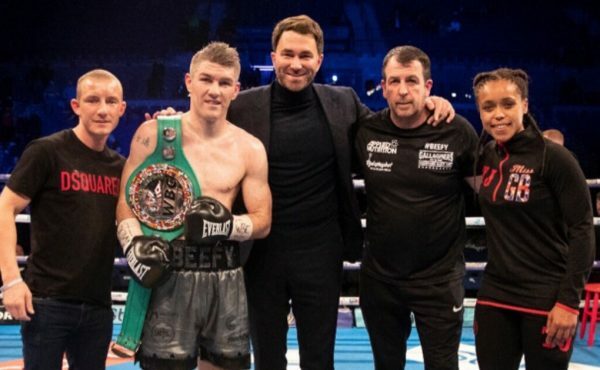 Both fighters are familiar with each other after past sparring sessions, but Smith believes his superior skills will give him the edge in an explosive encounter with Eggington. “The fight with Sam, I’m massively excited for, and I feel it’s a good fight to kick-start my 2019,” said Smith. “I’m just looking to put on a performance for people to think ‘he was a level above’. “Sam’s style and my style will always gel for a good fight. It will be very, very competitive, but again, I feel I do everything better. “On a fight night when I have got a bit of spite, then I feel it’s a different story than sparring. “I know Sam as a person, we get on, so I’m not going to sit here and bad mouth him. Eggington insists he has relished his preparations, with no expectations on his shoulders following a shock defeat to Hassan Mwakinyo in September, and the 25-year-old is braced for a brutal battle. “I’m excited. It don’t take a genius to know that I’m the underdog in this fight,” said Eggington.